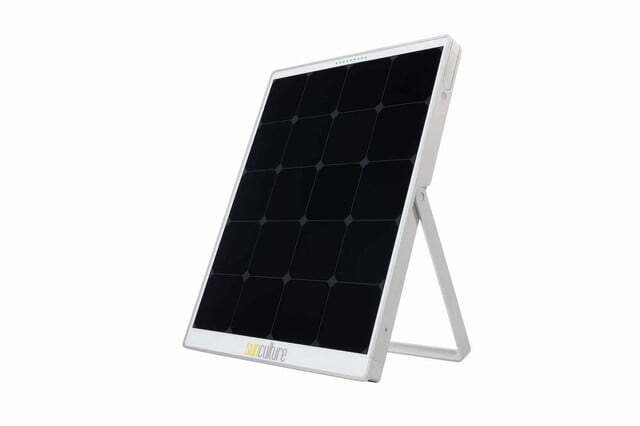 The beauty of the SolPad Mobile is that it is essentially a turnkey solution for solar energy. Simply remove the SolPad from the box, point it at the sun, and it is pretty much ready to go. That is a far cry from the majority of other solar energy systems, most of which require users to assemble a variety of components before they begin generating electricity. 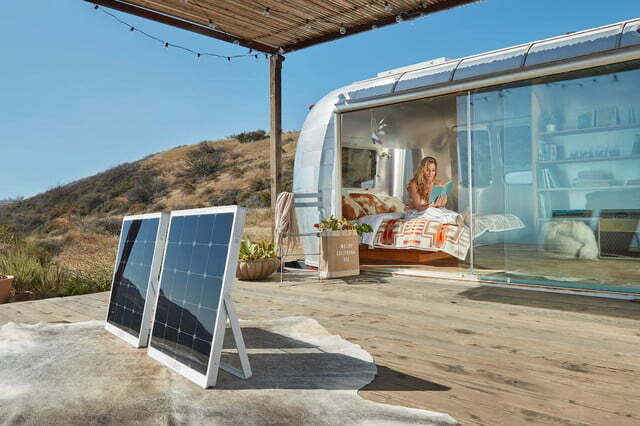 This device promises to make solar power more accessible to the masses, however, and even includes a modular design that allows multiple units to be quickly and easily linked to one another to harness even more power. 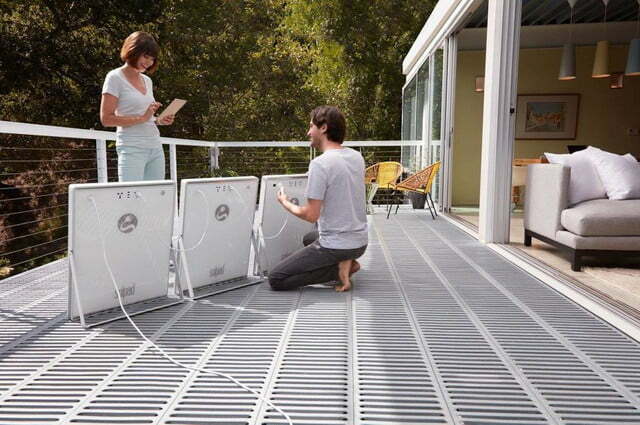 At the heart of the SolPad Mobile is a 72-watt solar panel that stores energy in a built-in 6oo watt-hour battery. 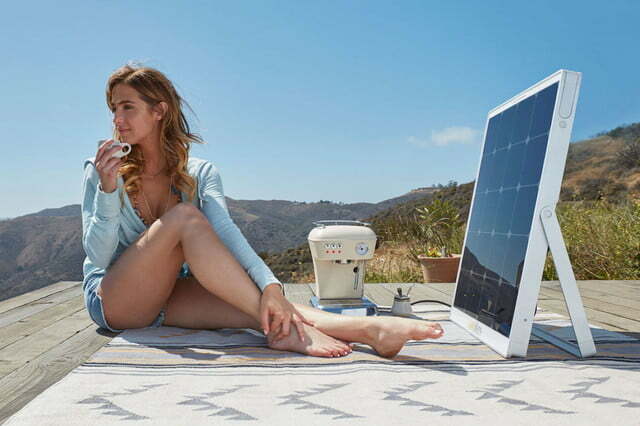 An onboard inverter allows users to plug their gadgets directly into the device, which is capable of recharging a smartphone up to 60 times, a tablet as many as 30 times, and most laptops four to seven times. On top of that, the device can even provide enough power to run a mini-fridge for up to 10 hours or a flat-panel TV for four hours as well. 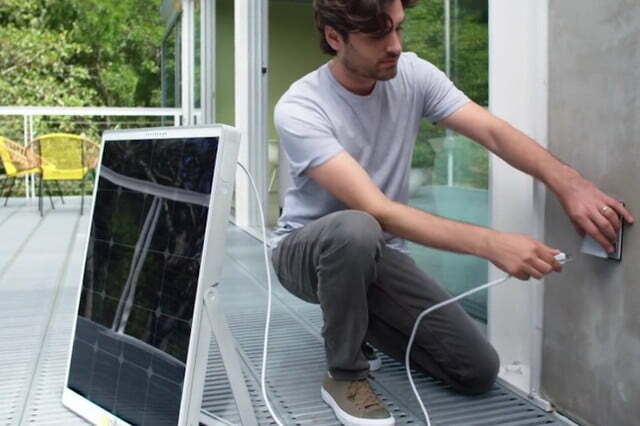 If that still isn’t enough juice to meet your personal needs, simply connect another solar panel to double the output. Other features include built-in lights and a Wi-Fi hotspot that can be used to configure and control the system. Weighing 25 pounds, the SolPad Mobile is portable, though it isn’t quite light enough to carry with you just anywhere. Designed more for use around the home, it could also prove handy while tailgating, car camping, or at other outdoor events. Just don’t expect to take it with you on a backpacking excursion. Pre-orders for the device begin in May and the finished product is expected to start shipping in the fall at $1,395.